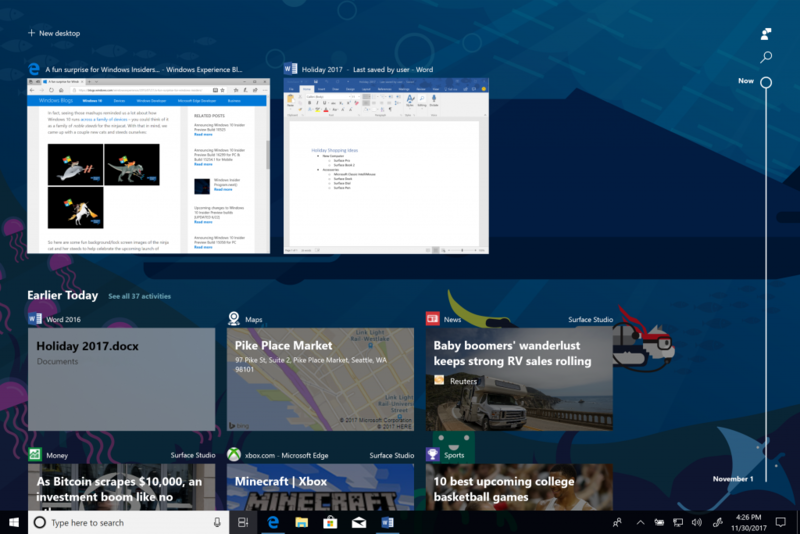 When Microsoft announced the Windows 10 Fall Creators update, one of the most interesting features the company demoed was Timeline, which lets you find and resume your recent activities as you move between PCs and iOS and Android phones. It’s basically a global task view, backed by Microsoft’s cloud services. Like some other features, Timeline wasn’t quite ready in time for the Fall Creators update, though, so it’s only today that Timeline is making its debut in the latest Windows 10 Insider preview build (and only for those users who are in the more experimental Fast ring, as well as those who opted in to the Skip Ahead builds).